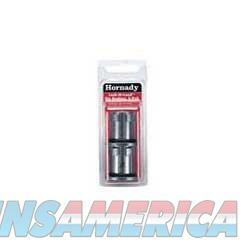 Description: Hornady 44094 Lock-N-Load Die Bushings 2/Pack Maximize your reloading time with the Lock-N-Load quick change bushing system. The Lock-N-Load reloading system is a patented quick change bushing system that lets you change dies with a simple flick of the wrist. With Lock-N-Load technology in your reloading press, you can stop loading, change dies and start loading another caliber in SECONDS.